*10% discount conditions apply. Not available in conjunction with any other offer. Does not apply during peak season. See our terms and conditions for more information. Our Auckland cattery is made up of 9 family suites, 3 of which have constant access to secure personal outdoor conservatories. We also have 2 large communal lounge areas for the more confident and social cat or families with multiple feline compadres! We have two options to our family suites that can comfortably house 2 -4 cats from the same family or elderly cats that do enjoy their rest and relaxation. They are also a great way to keep a close eye on those who are on restricted exercise, diets and medication. We are among the only catteries in Auckland to offer all those comforting things that any loving caring home would have. Lots of cosy places to curl up - all ages catered for, ventilated in summer and heated in winter. Choose between indoor for 2 or indoor/outdoor with aditional access to a large conservatory area for up to 4. 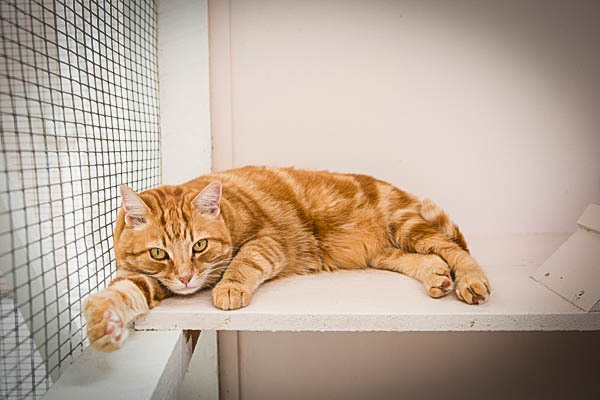 We have 5 individual units available that cater for up to 3 cats in each for the more timid or not-so-social moggies. If your cat(s) are are more reserved and have a shy personality or require special needs ie medication or a particular food these units are puurfect for monitoring diets or just keeping your feline friends in a calm secure environment without the company of other cats. Theses units have limited availability and are only available on request. *10% discount conditions apply. Not available in conjunction with any other offer. Does not apply during peak season. All Seasons Pet Resort has extended its office hours to accommodate our customers.